A decision by the Supreme Council of Universities to allow children of judges, police and army officers to be exempt from zoning university admissions restrictions, which limits high school graduates to applying for state universities in their immediate geographical districts, created controversy on Wednesday. According to the decision, the children of judges and officers are no longer bound by geographical placement requirements, meaning that they can apply for universities nationwide regardless of hometowns. The reason for the decision was listed as the "national significance" of the nature of their parent's work. The usual requirements state that students are limited to applying to public universities in their residential surroundings. 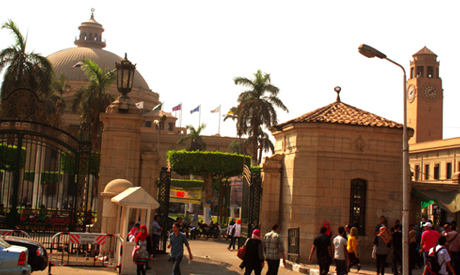 Students enrolled in public universities in Egypt cannot also transfer to other public schools in other geographical zones especially if their Thanaweya Amma (high school) grades are not high. The Higher Education Minister Ahmed Abdel Khalek told the privately owned Al-Shorouk newspaper on Wednesday that the decision was based on the fact that parents who work in "nationally sensitive jobs" should be able to focus on their work and not be distracted by their children's absence. "We want those men [officers and judges] to focus on their work and not to be distracted by their children who are away from them," the minister said in his first comments on the matter, denying that the decision was discriminatory. On Wednesday, The Egyptian Organisation for Human Rights (EOHR) expressed its concern about the decision arguing that the decision to exempt the children of judges and officers from geographical placement rules is a violation of the constitution. "This is a violation of the Egyptian constitution that discriminates between Egyptians," the human rights organisation said, referring to the constitution's articles that enshrine equality for all Egyptian citizens. Article nine of the constitution stipulates that the state shall ensure equal opportunities for all citizens without discrimination.